Vote for the Most Outrageous Names of 2012. We’ve narrowed it down and taken the top picks from each category. 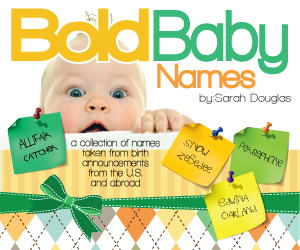 It’s now time to pick the Most Outrageous Names of 2012. Will it be Kemistryy or Kowboy or Breeze or Sabbath? Go vote. I really like Ashby, Darcy and Sage for boys, nice!